Obese people are four times as likely to develop osteoarthritis of the knee as they are to develop high blood pressure or type-2 diabetes, an arthritis charity has warned. 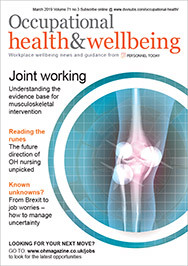 A study by the Arthritis Research Council has said that, whereas high blood pressure and diabetes may be substantially improved by losing weight and are relatively easy to control with therapy, the changes resulting from osteoarthritis are irreversible, as worn cartilage cannot currently be repaired. The charity is also helping to fund a new Nottingham-based study looking at the detection of inflammation in osteoarthritis of the knee, and how it is linked to painful symptoms. Two hundred patients are to take part in the study by research physiotherapist Michelle Hall, from the University of Nottingham, using ultrasound techniques to identify how common inflammation is in the knees of people aged over 55, whether it can be linked to osteoarthritis as shown on x-ray, and if it is linked to pain, stiffness and mobility problems.